Vampire films are all allusions to the original: Dracula by Bram Stoker. As an English major undergraduate at UIUC, I was required to take a class called “Major Authors.” I had my choice of Bram Stoker/Oscar Wilde, or George Elliot (who, like Dave Eggers, I probably thought was a man at the time). I’m not sure what I missed out on, but judging by some of my friends who had to read Middlemarch, I think I made the correct call. With the explosion of interest in serialized vampire novels kicked off by The Vampire Chronicles and Interview with the Vampire by Ann Rice, vampires appear much less like the demonic cavern dwellers of Nosferatu (1922) and much more like various superhero incarnations, each new series having to set out the rules, or as they should now be called, the super powers that vampires possess over us blood banks. In the Twilight chronicles for instance, male vampires must unbutton their shirts halfway and pretend to be James Dean. Cirque du Freak is no different. 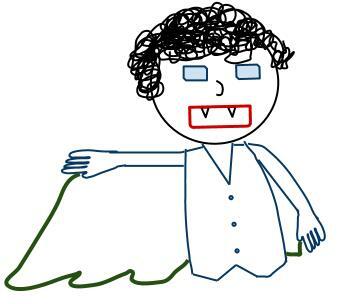 Vampires in this world can move super fast, slash things with their fingernail claws, and emit a noxious gas that incapacitates humans (with a deliberately open ended line of dialogue that leaves the possibility open for even more super powers). As the title suggests, a boy has a “chance” encounter with a vampire (John C. Riley) who is a major player in one camp of vampires along with a character played by Willem Defoe. They are the retired leaders of the anti-killing humans camp, or “vampires.” Then there are the “vampaneese” who still kill humans when feeding, and quarell with the vampires, but are currently kept at bay by a tenuous truce which the Cirque, a traveling freak show, somehow (inexplicably) maintains. The movie plays around this central tension and develops characters quite well, but ultimately comes across as a sequel delivery system. It took until a few minutes into the climactic fight sequence at the end of the film for me to realize that this was the climactic fight sequence. I don’t think it was the fault of the writer/director Paul Weitz, so much as it was the fact that this is poised as an opening chapter in a series from the first five minutes of the film. The voice-over delivered by the protagonist (Chris Massoglia) reminded me a great deal of the first Spiderman movie for some reason, and it eventually drops off to give way to the action of the plot. Of course, a good versus evil binary emerges that will no doubt play out in a sequel, if there ever is one. This film scored low on RT and Metacritic, so who knows if it will ever see another incarnation. It seems that a lot of films are made on the assumption that a sequel will resolve the plot and tie up any loose ends. That might work for adaptations with a huge fan base (Harry Potter), but this film feels like a television pilot that may never get picked up. Not only that, the story seemed so rushed and condensed that I feel like it must have hardly done justice to the first book in the series. Seeing as this is a twelve book saga, I doubt that the collective capitalistic dream of making twelve movies to go along with the books will ever come true. Note: If you are looking for a better performance as a vampire by Willem Dafoe, and generally a much better vampire film, check out Daybreakers (2009).